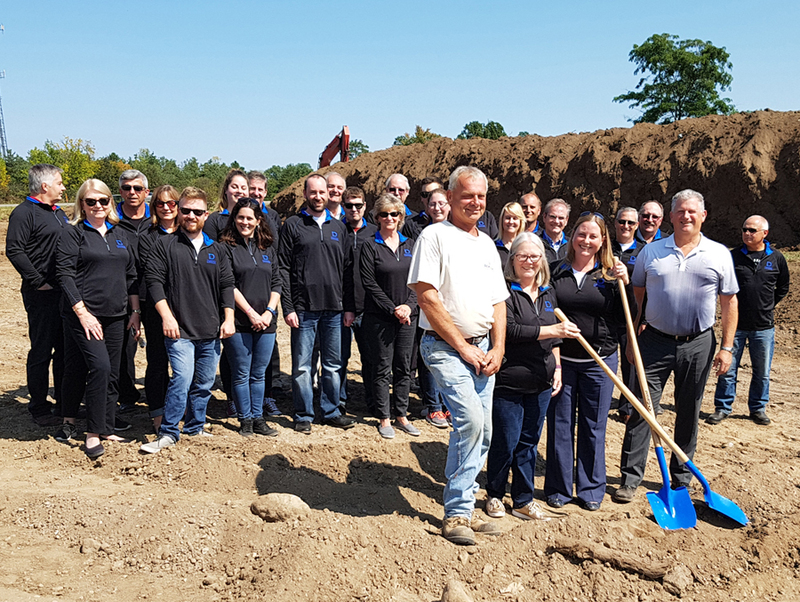 Dumfries Mutual Insurance Company’s staff, agents, and board of directors were thrilled to participate in a groundbreaking event on September 12, 2017. Shelley Sutton, General Manager, and Holly Huehn, Board Chair, proudly held shovels at the future site of their new office building located just southeast of the City of Cambridge. Also present at the groundbreaking were Alf Geerlinks, Site Supervisor (left) and Phil Schiedel, Project Manager (right) of Schiedel Construction Incorporated. As the Dumfries Mutual team continues to grow, there is great excitement about the additional working space the building will offer and the bright future of their organization for policyholders. The team plans to move into their new office next summer.